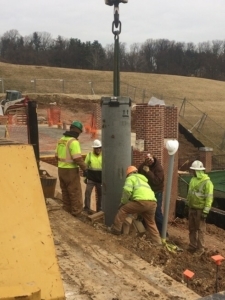 St Paul’s School | Lighting Maintenance Inc. Drill and set new Musco foundations. We have been chasing this project For the past 10 years. 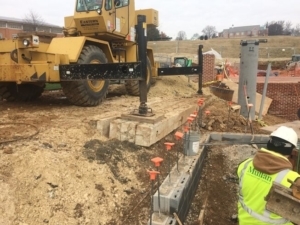 The school is currently developing a new grandstand and LMI / Eastern Caisson needed to work around multiple trades and extremely tight conditions to drill and pour the first of two foundations. The picture shows the crane mats and challenging conditions that our team worked around to complete the install. 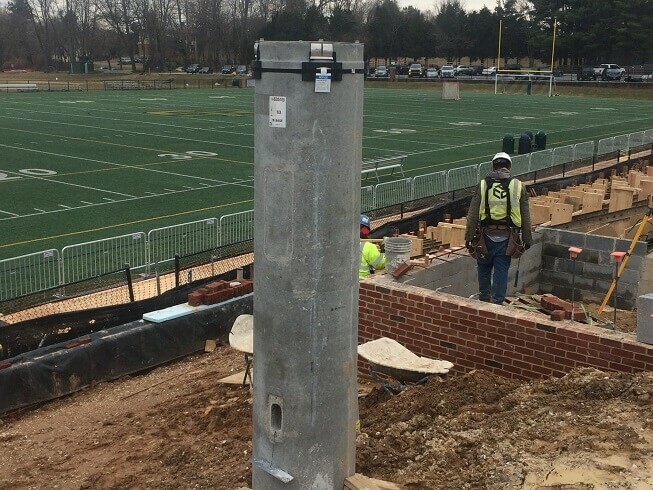 Challenging conditions might require the use of a Helicopter to set the Musco poles – stay tuned.